Precision lapping screw, high resolution. Crossed roller guides, good linearity and high load capacity. Wedge structure, low height and good stability. Sealing up with stainless steel materials, avoiding hot dust and laser. NEMA 23 stepper motor drive and DB9 interface. 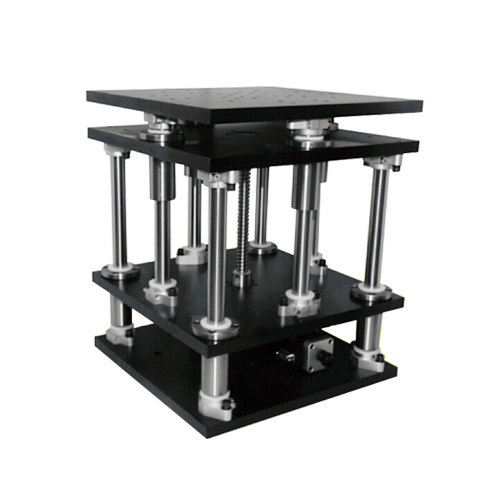 This motorized lab jack is featured with high load capacity, high resolution and high accuracy due to adopting precision lapping screw and crossed roller guides. This motorized lab jack is very steady because of the inner wedge structure. The big platform is designed for mounting big object on it. 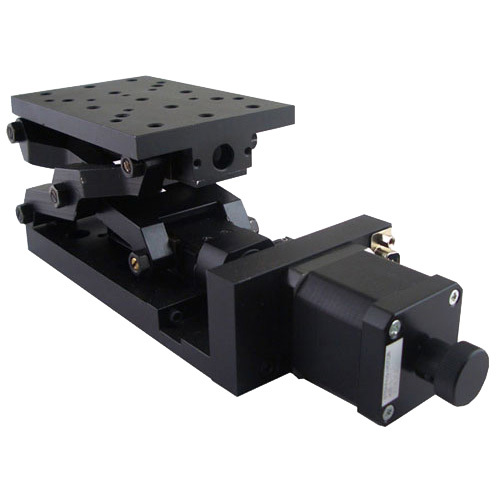 02 series motion controller can be used to control motorized stage with NEMA23 stepper motor. We have 220V and 110V power supply options for each motion controller. The USB line can be used to connect the motion controller to laptop. Please click following links to get more information.